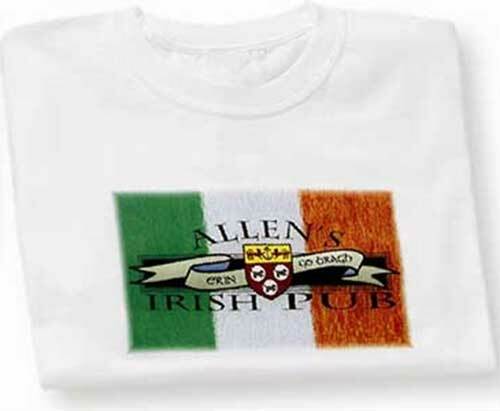 This Irish coat of arms t-shirt, with the colors of the Irish flag, does double duty as a personalized Irish pub t-shirt. 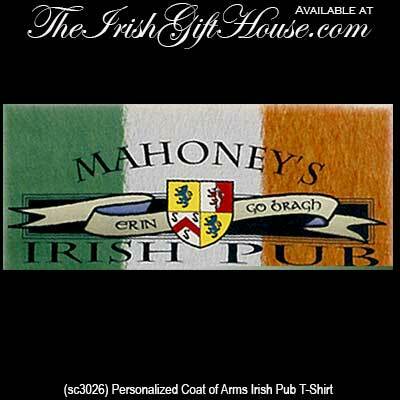 This pre-shrunk 100% cotton white shirt, has an imprinted design with your Irish family coat of arms and it includes ERIN GO BRAGH, the words for Ireland forever. Select from over 900 Irish names.